Repeated use of the trainer will allow students to master their technique and acquire enhanced comprehension toward the clinical procedure. Attendants who may benefit from this product include physiatrists, anesthesiologists, surgeons, neurologists, nurse anesthetist, radiologists, physician’s assistants, nurse practitioners, and other nursing staff. Relevant Skills: Collection of CSF, catheterization, application of antiseptics, and needle insertion. 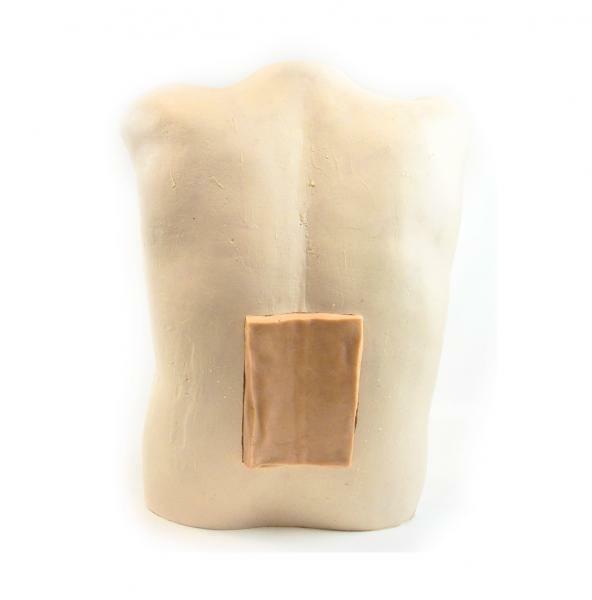 Included Components: Upper back torso, cerebral spinal fluid, and lumbar vertebrae L5-L2. This product also comes with a durable Pelican Case for storage and transportation. Equipment Compatibility: Ultrasound equipment, needles, catheters, and antiseptics. Extraordinary Features: SynTissue synthetic human tissues made from salt, water, and fiber - which feature the world’s most realistic tactility. SynTissue synthetic human tissues match the acoustical characteristic of real human tissue. All products of SynDaver are made in the USA.